IBI has a special X-MAS offer for you. 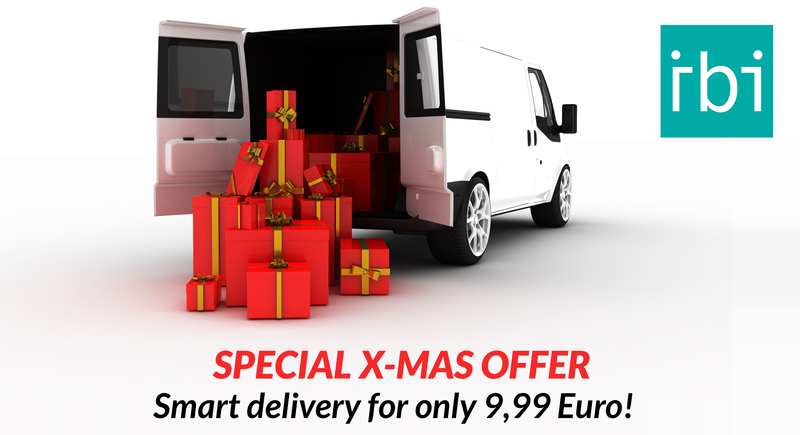 This year, you can deliver X-MAS packages much faster. Install the IBI app and contact us to get 50% discount on IBI! * You will get IBI for only 9,99 for one month or 99 for one year! IBI calculates the optimal route for all addresses. Besides that, you keep the overview over all your deliveries. Simply with IBI on your smartphone. Download IBI and start delivering! Download the app and contact the IBI team for your 50% discount on IBI. The app is being used by delivery services, pharmacies and others that deliver packages. Do you prefer to test IBI? It is possible to do so for a week for free. *the promotion is valid until 31 December 2017.